but there are now a number of celebrity Ramen fanatics, Ramen critics and Ramen researchers in the world. And, Ramen remains to be a very hot topic of discussion among many people. Nowadays, there is a lot of information about Ramen all over the world, and the amount of that information is increasing day by day. For the most part, that information is based on customer experience, and addresses Ramen from a consumer point of view. I, however, would like to analyze it from a slightly different perspective – the one of the Ramen School principal. Every month at three locations (the Head Office in Kagawa, Tokyo Branch, and in Singapore) I teach students how to survive in the Ramen industry. 1. 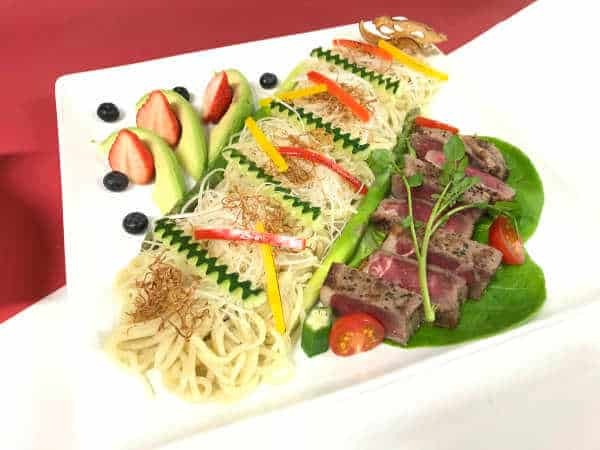 Why Chinese Lanzhou (蘭州) Ramen which boasts a history of four thousand years could not gain a world-wide popularity, but Japanese Ramen with a history of 100 years at most could become a global cuisine? I am very interested not only in Ramen, but also in food in general, and if there is anything I do not know, I have a habit of pursuing it thoroughly, and with enthusiasm. One time I received a book on the history of Lanzhou Ramen from a friend of mine from that region. The book stated that based on the evidence from ancient ruins the existence of Lanzhou Ramen could be traced back to 4 thousand years ago. I was very interested in Lanzhou Ramen, so I took that friend's invitation to visit Lanzhou in July 2012, and went to a school to learn how to cook Lanzhou Ramen myself. Having a population of around 3 million people Lanzhou has about 1 thousand Ramen shops, where noodles are made and cooked by masters right in front of visitors using traditional methods of manually stretching the dough multiple times, thinning it down, and boiling in cauldrons. Boiling time is extremely short – about 20 seconds, after which ready noodles are put into beef soup, and served to customers. 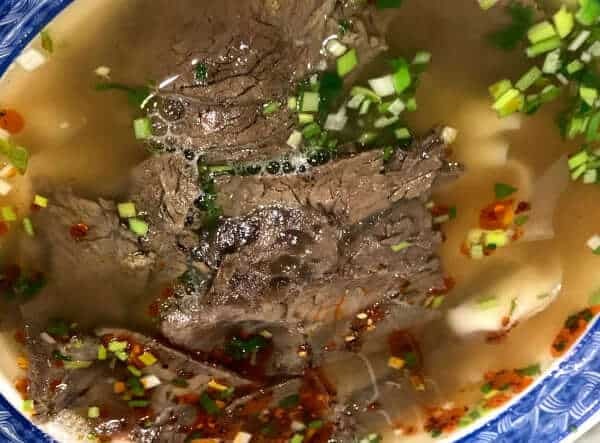 The soup is basically made from a block of beef meat – it is cooked in the morning, seasoned with salt, and then served throughout the day. Among about 1000 Ramen shops in Lanzhou, the one with the biggest number of customers had about 5000 visitors per day. Modern day Lanzhou Ramen diligently preserves 4000 year old traditions of noodle- and soup-making methods, and it differs very little from shop to shop. 2. 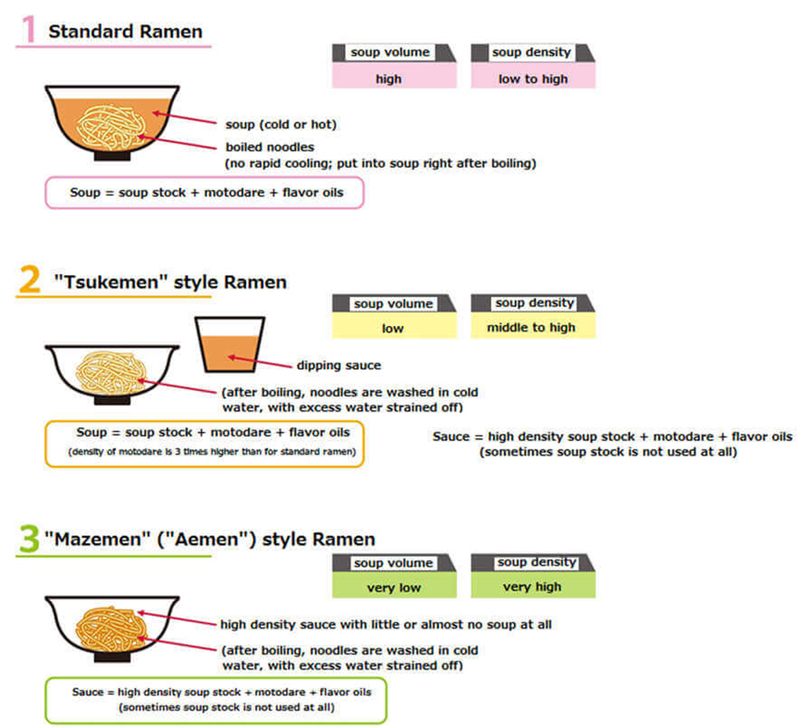 What is the essential difference between Chinese and Japanese varieties of Ramen? Ramen was first brought to Japan from China after Sino-Japanese war, and evolved into many local varieties by incorporating distinctive characteristics of the respective regions’ cuisines. The most essential difference between Japanese and Chinese types of Ramen is that Chinese ramen does not use Motodare. Motodare (or “base sauce”) was originally developed from “Kaeshi” which is a sauce for Soba buckwheat noodles. Motodare, made by dissolving and concentrating “umami”-essence of various ingredients, helps to emphasize and strengthen the monotonous taste of Ramen soup stock. 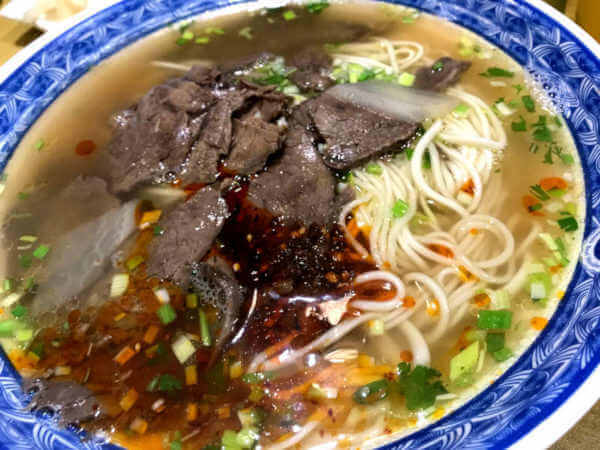 Seasoning of Lanzhou Ramen is done by adding either salt or a combination of salt and other spices, while, on the other hand, Japanese Ramen has a wider choice of flavoring agents – salt, soy sauce, miso, which allows to create more complex variations of taste. Another difference it that seasoning for Chinese Ramen is done only once in the morning for the whole volume of soup stock, which is then served throughout that day, while each portion of Japanese Ramen is seasoned and flavored individually using motodare and flavor oils. Therefore, a characteristic feature of Japanese Ramen is its strikingly vivid taste created by a combination of Motodare sauce and soup stock. Japanese Ramen is also a food where one can enjoy a change of its taste with time. Now, many come to our Singapore school to learn ramen. Among the most famous food items that have gained global popularity one would name hamburgers and pizza. Japanese sushi has already become a global food as well. Speaking of why sushi could achieve a status of global food, I think it was because when sushi was brought to the US West Coast it evolved there into the “California roll” variety. Sushi would have never become a global food, if people rigorously insisted that only hand-rolled and sea-weed wrapped types of it could be called “sushi”. In the same way, it can be said that Ramen is already a global food too because, similar to sushi, there is no strict definition of what can be called Ramen. In a word, I think that it is easy for a food to become global if it is not constrained by rigid conventions, but is open for innovation. Among traditional Japanese noodles, I think that Udon and Soba have not yet become global foods because they are bound by their respective traditions too much. Ramen food culture spread across Japan after the World War II. In the beginning, it was similar to Kake-style Udon, with a lot of hot soup first poured into a bowl, then boiled noodles put it, and some toppings added on top. Next, Tsukemen and Mazemen types of Ramen were created. Tsukemen had very little soup, but was served with a thick sauce (similar to Zaru-Soba, Zaru-Udon or Kamaage-Udon). Mazemen had almost or no soup at all, but was served mixed with a thick sauce like Abura-Soba. In this way, the world of Ramen cuisine is constantly evolving, with the soup concentration getting higher, and the taste becoming stronger. As described above, Ramen first emerged in Japan in a form similar to that of traditional Chinese-style noodles – it had rather plain taste, and was served in a low density soup, but with time it evolved into varieties with more strong flavor and denser soup. 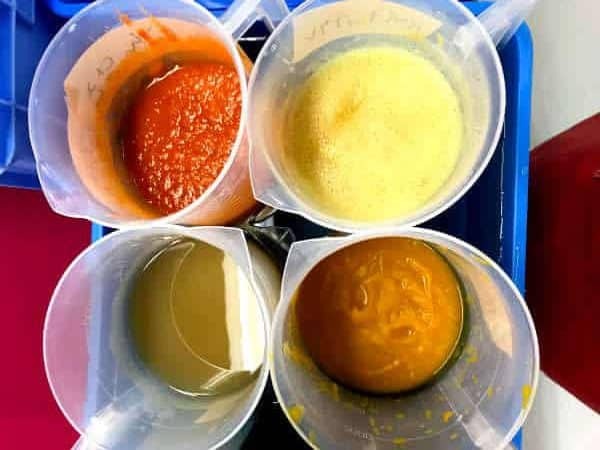 In the beginning, the soup stock was made from pork, chicken and beef, then seafood-base kinds of soup were introduced followed by vegetable-base for vegetarians, and now there are even soups made from fruit. For Ramen – it’s anything that goes. However, preserving the essence is, nevertheless, a matter of absolute significance. Innovation is important, but adhering to principles is important too. 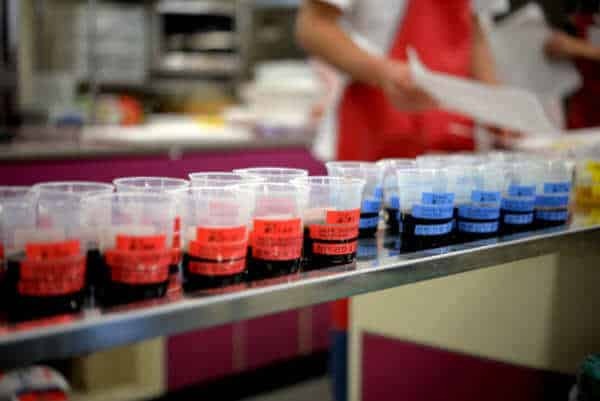 Disregarding the essential commitment to the quality of taste can lead to a situation similar to the one happening with sushi where there are many “sushi-like” contraptions. 1. Up until present, wheat was the main ingredient to make Ramen noodles, but recently, given the growing popularity of gluten-free dietary approaches, rice and other grains have come to be used, with beans and various other healthy food sources likely to follow the suit. 2. 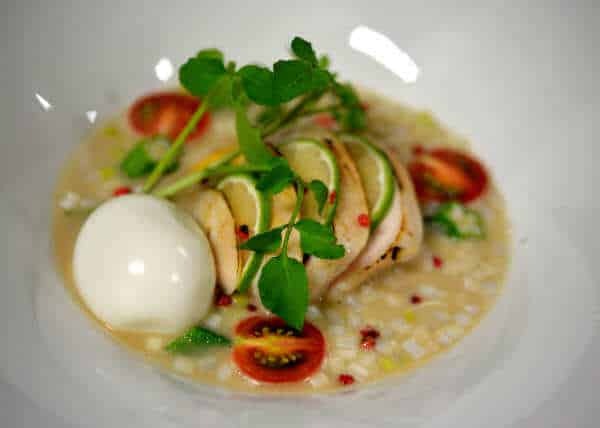 In the beginning, Ramen soup stock was made from pork, chicken and beef bones, but then the scope was broadened to include a variety of seafood, vegetables, and fruits. In this regard, we can possibly expect new additions to the list in the future. 3. 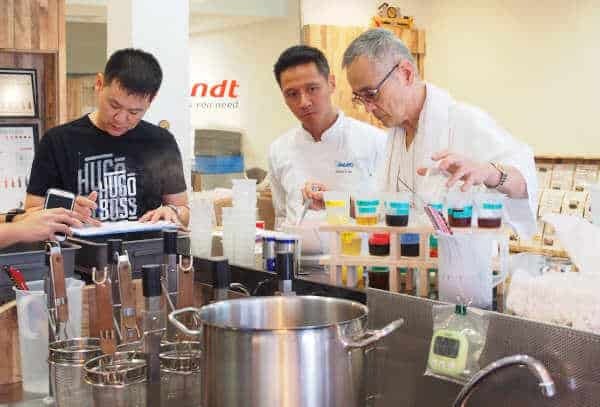 Until now, Motodare base sauce was mostly made from ingredients common to Japanese cuisine, but in the future other ingredients from other culinary traditions may be introduced as well. At our school we already routinely use Vietnamese fish sauces. 4. 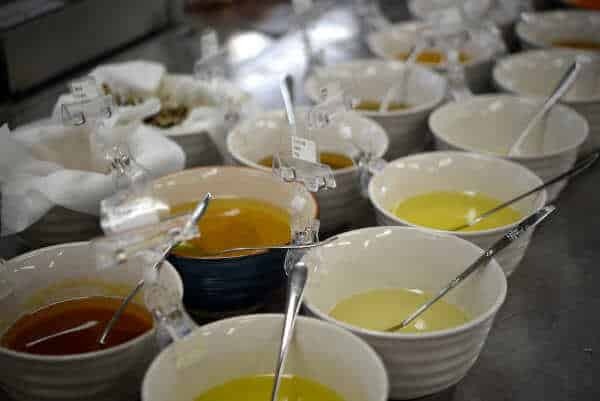 With regards to flavor oils we can expect introduction of other types of animal and vegetable fats and oils, including olive, chia seed, or other types that have not been traditionally used so far. 5. The same applies to toppings as well which, in addition to traditional types of char siu, may in the future be made from diverse range of protein sources using various methods of preparation (i.e. low temperature cooking, smoking etc.) or used in a raw form. 6. Plating techniques will, probably, significantly evolve too, giving us approaches and techniques not yet seen in the past, some of them even looking unusual and extravagant. Over 3 decades of his passionate devotion to making of delicious noodles have made him a guru in this industry. He’s helped over 1,000 of clients, ramen chefs, udon restaurants, soba shops, etc. to serve better noodles. He travels all over the world to share his mastery of noodle making.